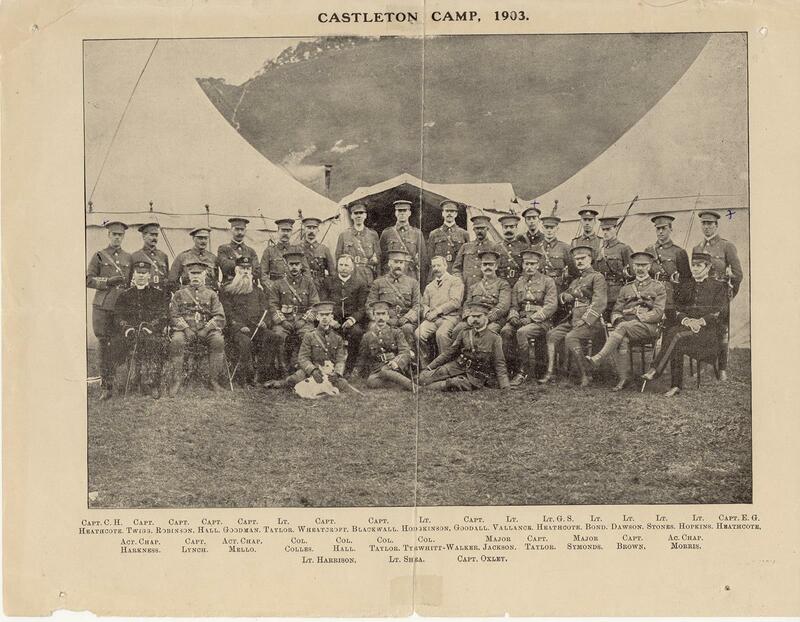 The Annual Camp at Castleton in 1903 and the YMCA Tent is clearly indicated in the top right corner. This land was acquired by the War Office in the late 1890s, however, by all accounts is was not a popular site with the men, possibly due to its isolation. 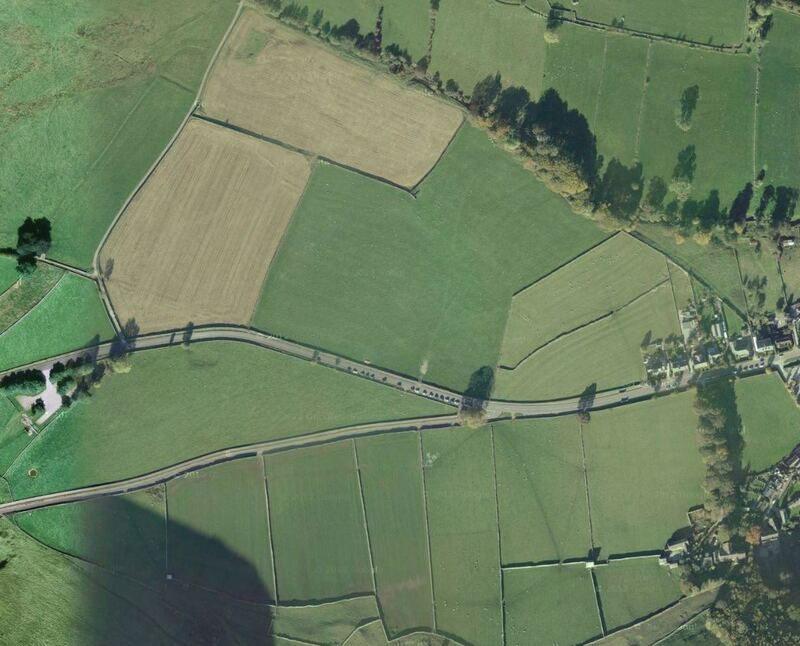 Very little has changed over the last 110 years and the dry stone walls, woods and road are still easily identifiable. 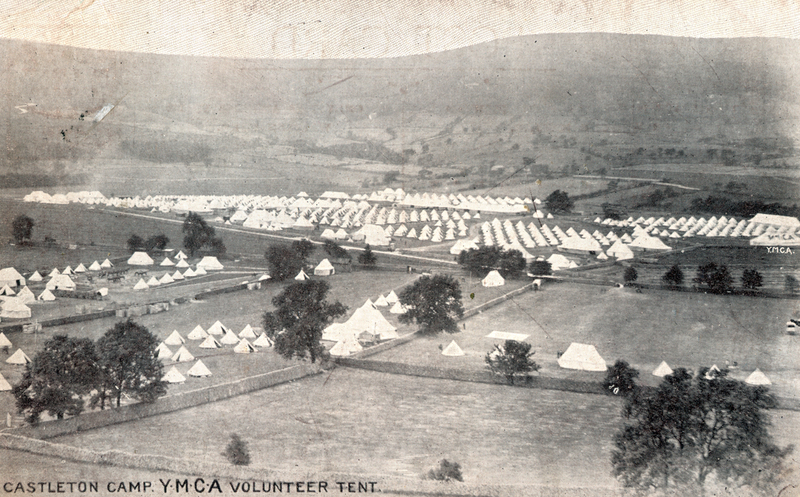 Interior of YMCA Tent (#13C unknown publisher). 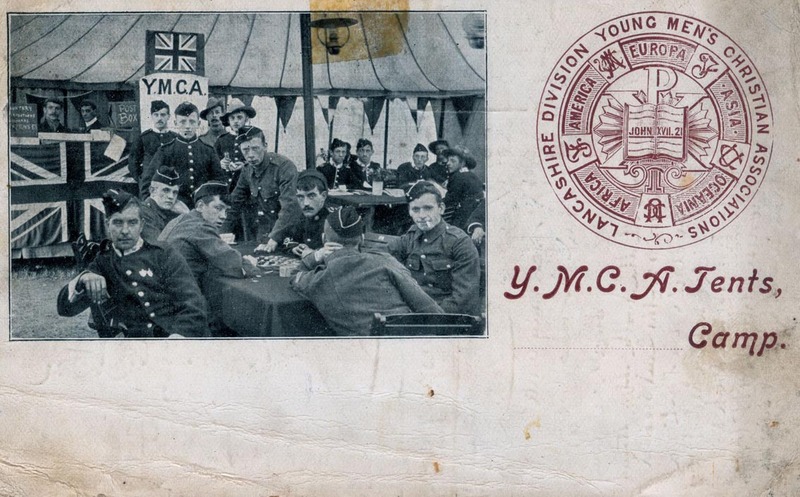 Men of the 2nd Volunteer Battalion (Grantham) the Lincolnshire Regiment taken in a YMCA tent c1903-1906. 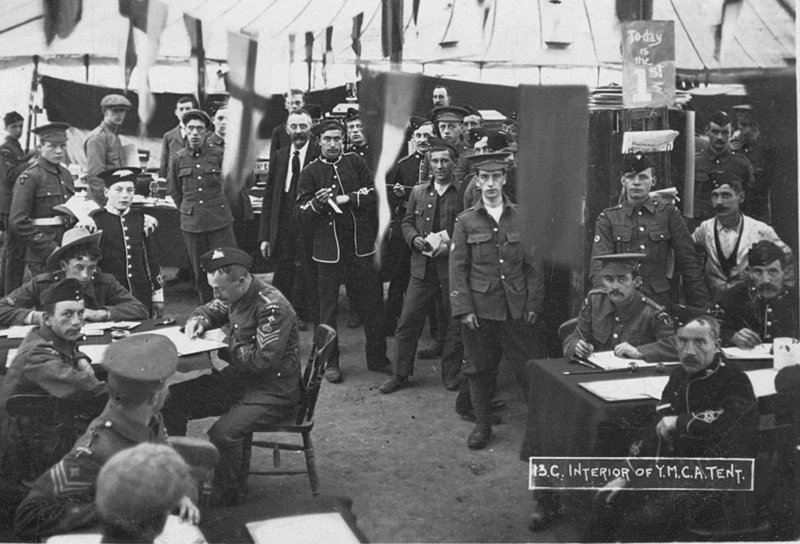 The other Volunteer Battalions were 1st Volunteer Battalion (Lincoln) and the 3rd Volunteer Battalion (Grimsby). 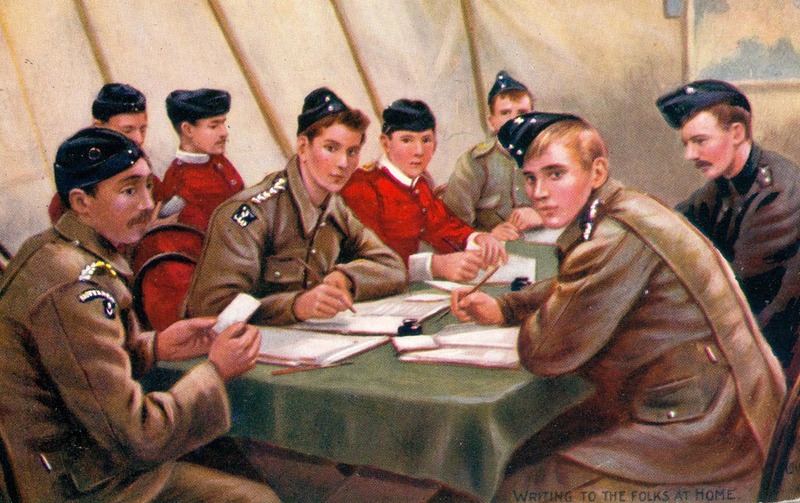 This particular post card was part of a collection belonging to Herbert Rhymes of the 4th VB Notts & Derby Regiment (1903-1908) and later the 8th Battalion Notts & Derby Regiment (1908-1916). 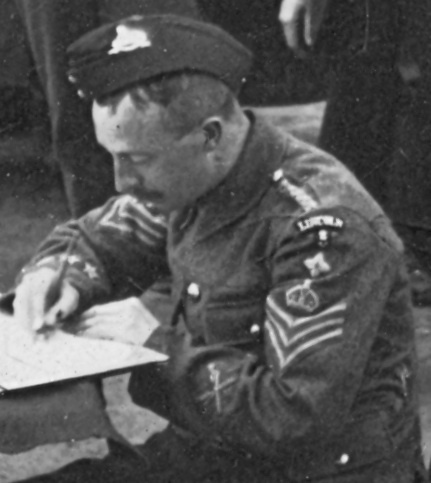 The Sergeant is wearing the Senior NCO Proficiency Star above the chevrons and crown denoting Colour-Sergeant. 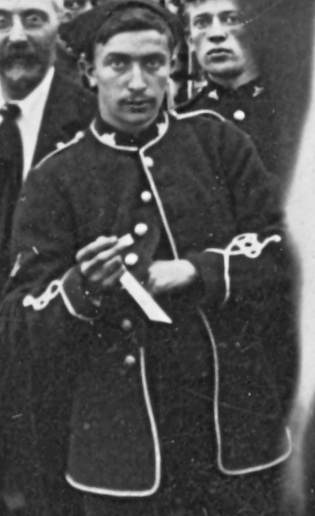 He also has Musketry Marksman crossed rifles (left sleeve) and five efficiency stars (right sleeve). Amongst the group of men are several bandsmen in tunic order with white piping, a corporal pioneer and stretcher bearer, whilst one man appears to belong to the Brigade Supply Detachment.